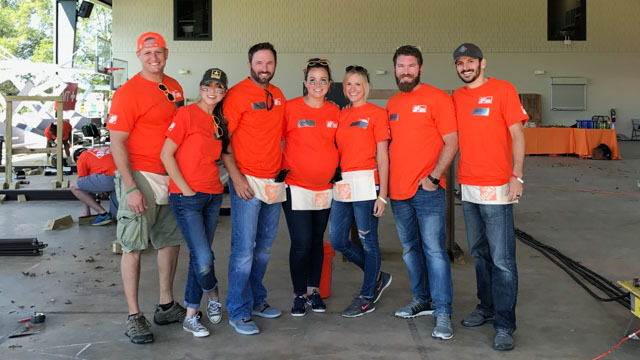 Last week I had the pleasure of taking part in a service event with The Home Depot Foundation program to help our U.S. military veterans and I want to tell you all about it! 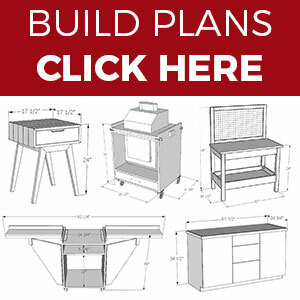 I’ve been working with Home Depot for the past couple years doing DIY Workshops and other one off programs. So when they asked me if I was interested in working with their service group I jumped at the opportunity! 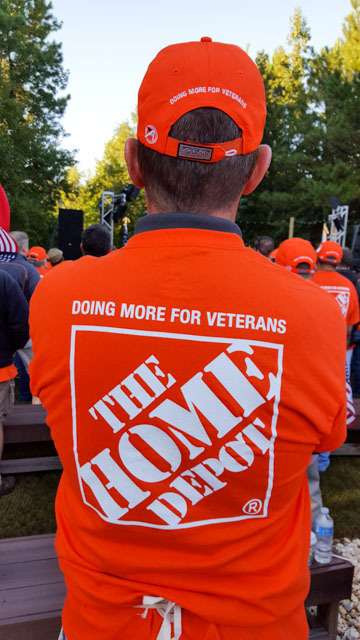 Before I get into what we did last week let me tell you a little about this awesome program and what Home Depot does for our veterans and our community. 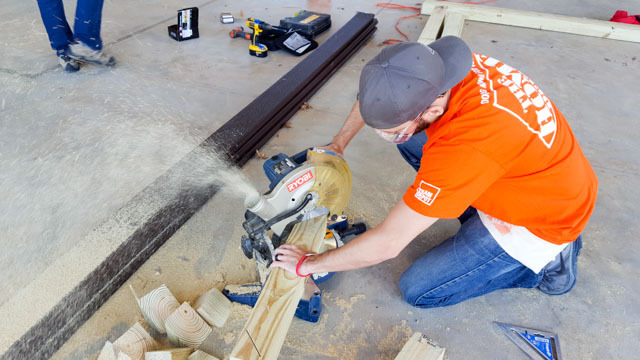 The Home Depot Foundation works to improve the homes and lives of U.S. military veterans and their families and they also help communities affected by natural disasters (and don’t we know there are no shortage of those lately). And this year they are inviting customers to participate in the effort with them through their call to action: “Choose to Serve”. 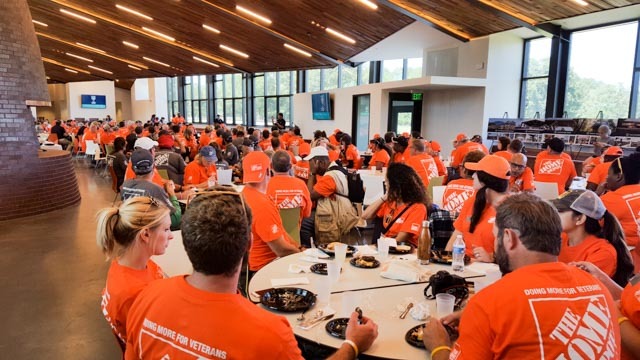 This event was the kickoff for their Celebration of Service which will run now through Veteran’s Day (November 11), where The Home Depot associates and the community will honor and celebrate those who have served our nation by giving back to them through a host of service projects. 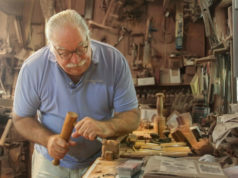 If you want to find out more about the program and how you can get involved then head over to CelebrationofService.com. But now let me tell you about the kickoff event and what we were able to do for our veterans and their families. The event was held at Camp Southern Ground in Fayetteville, GA just outside of Atlanta. 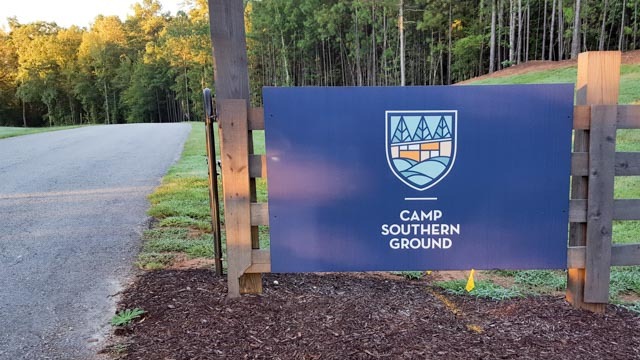 Camp Southern Ground is the passion project of country artist Zac Brown of the Zac Brown Band (yes, the chicken fried guy). 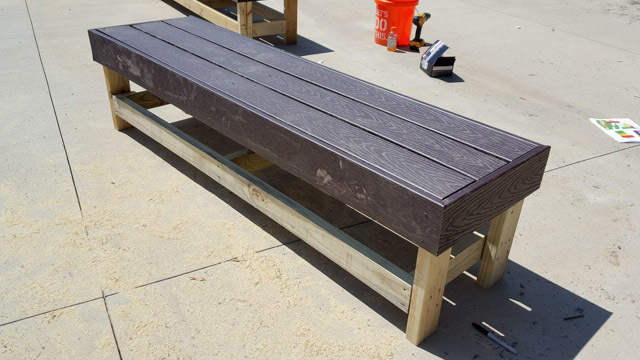 His experience as a camp counselor had an enormous impact on his life and he’s made it his mission to give that experience to children from all socioeconomic backgrounds. The kids camp will run for 9 weeks during the summer each year. 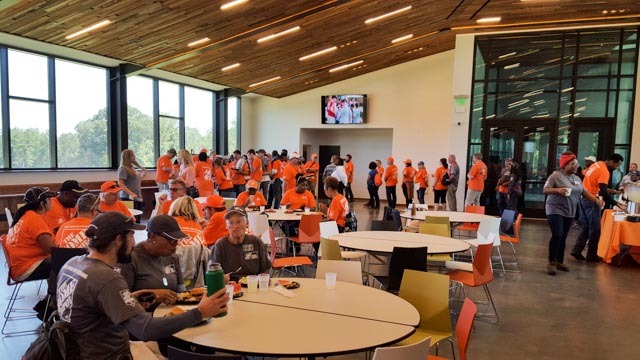 During the other part of the year the camp will support military and veteran families by partnering with other non-profits to provide family counseling and healing therapies for military families facing various challenges. You can read all about Camp Southern Ground, their mission, and their programs over at their website CampSouthernGround.org. 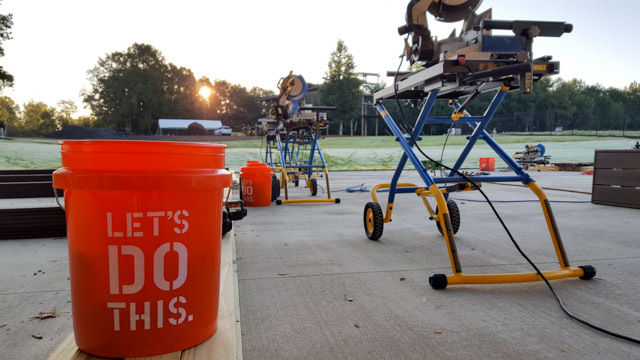 We arrived at Camp Southern Ground in the morning just in time to see the sun rising over the trees. 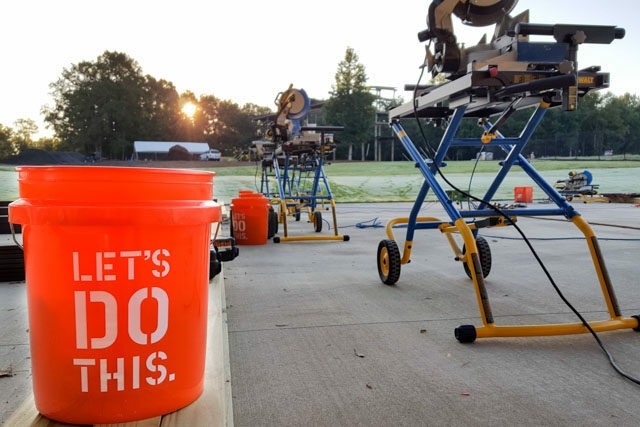 The lumber and the tools were all setup and I could tell this was going to be a great day! 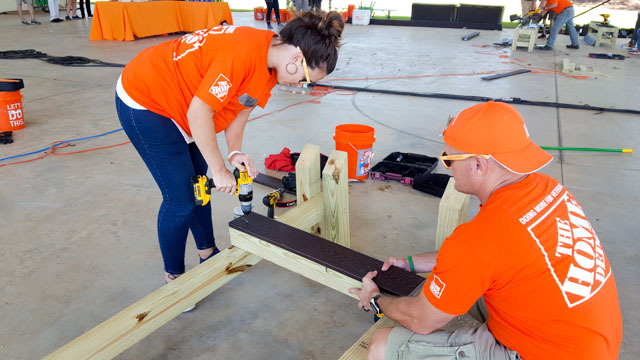 The day was kicked off by some of The Home Depot leaders who were there to serve alongside a large group of Team Depot associates from local stores as well as the corporate office. 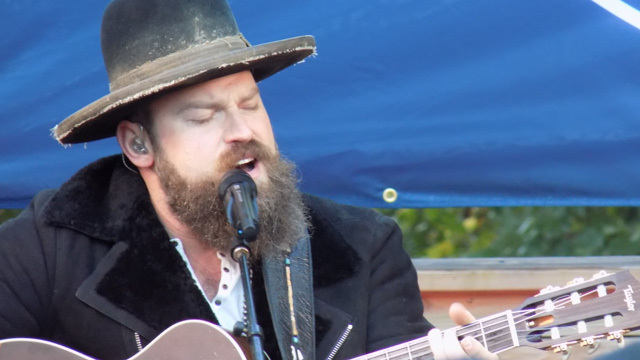 Oh, and did I mention Zac Brown was actually there himself with his band too! They set the mood for the day, playing America the Beautiful and Chicken Fried. It was so surreal to be in the woods with the sun rising over a group of volunteers ready to put in some hard work and starting off with our own private concert. 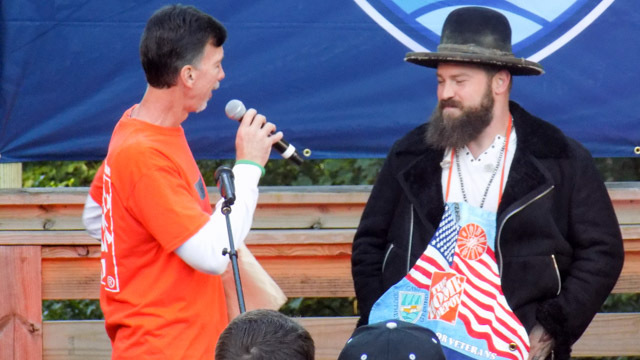 After Zac and the band were done, The Home Depot team even presented him with his own customize Home Depot apron. 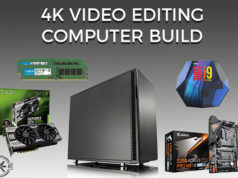 After that we broke up into our teams to go do some work. 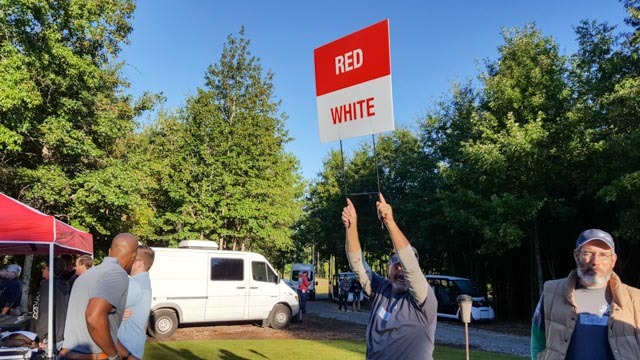 I was on the red and white team and our goal was build archery target stands for the campers. 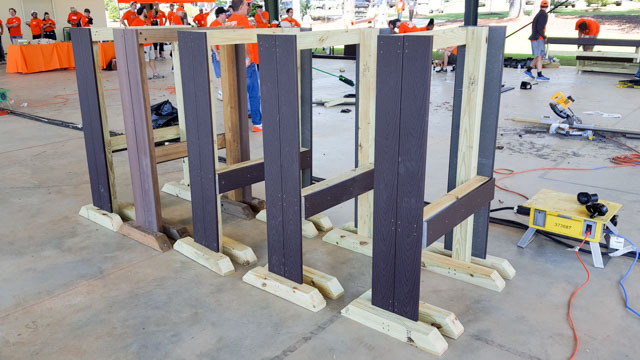 Other teams were also building projects like planters and benches to go around the camp grounds. And you might notice some familiar faces as I was joined by some of my building buddies (from left) Adam and Jen from Jen Woodhouse, Jeremy and Katie from Bower Power , and Jaime and Jamison from Rogue Engineer. Me and my partner for the day, Robrette, built three archery target stands to go along with the others that were built by team Red and White. 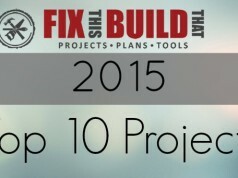 And the other teams put together some great work as well. There were also other groups doing grounds work around the camp to help maintain and beautify the area. At lunch time we all headed up to the dining hall at Camp Southern Ground to get some food and recap the work we’d gotten done. 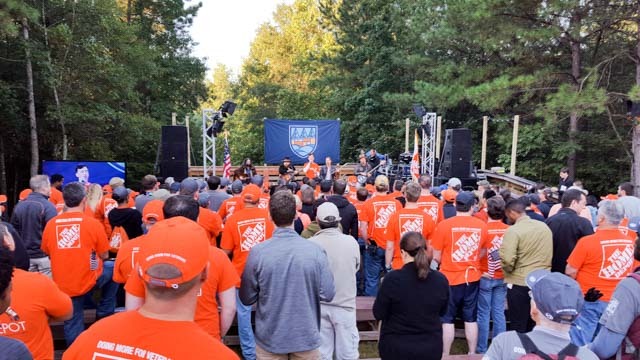 Joey Jones, and 8 year Marine Corps bomb tech veteran who lost both his legs after stepping on an IED addressed the volunteers and left us with some powerful words. He challenged us to not think about if the cup is half empty or half full, but to think about if we are filling it up or taking water out. It was a great analogy to remind us about the importance of serving our communities and helping those who have served us in our military. 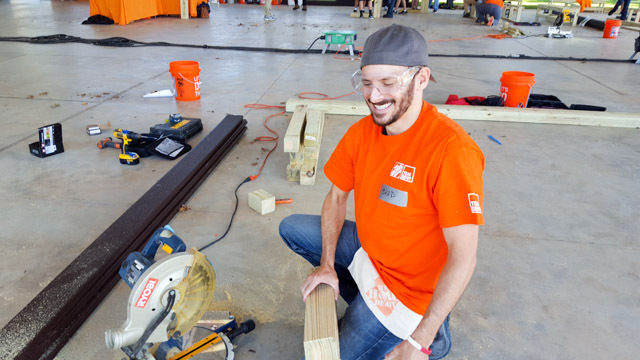 It was an amazing day and a great experience and I’m so proud to work with The Home Depot and help them support the work they do through the Home Depot Foundation. 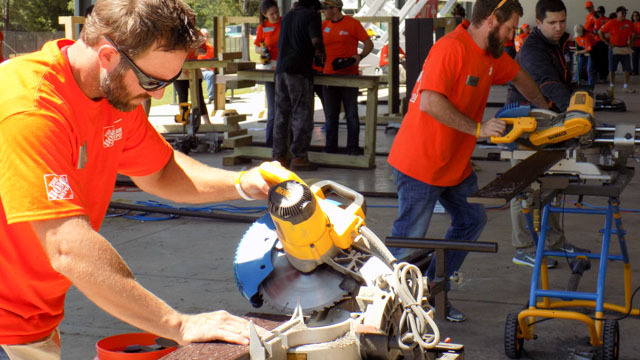 If you want to get involved and see how you can help in your community then head over to CelebrationofService.com and you can search for non-profits and events near you. I hope that you can find to time to Choose to Serve as well! 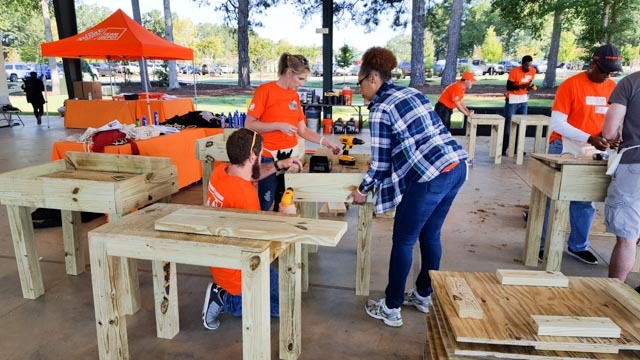 I acknowledge that The Home Depot is partnering with me to participate in this Foundation Program (the “Program”). 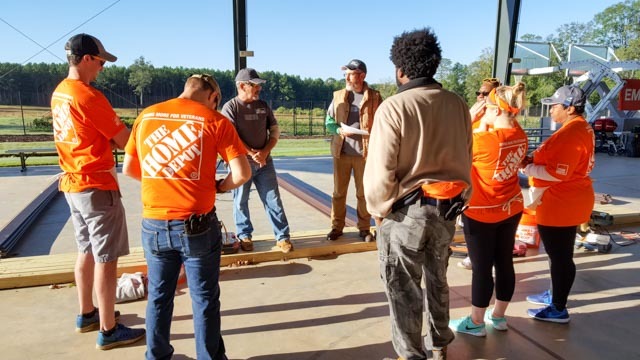 As a part of the Program, I am receiving compensation in the form of products and services, for the purpose of promoting The Home Depot. All expressed opinions and experiences are my own words. My post complies with the Word Of Mouth Marketing Association (WOMMA) Ethics Code and applicable Federal Trade Commission guidelines.